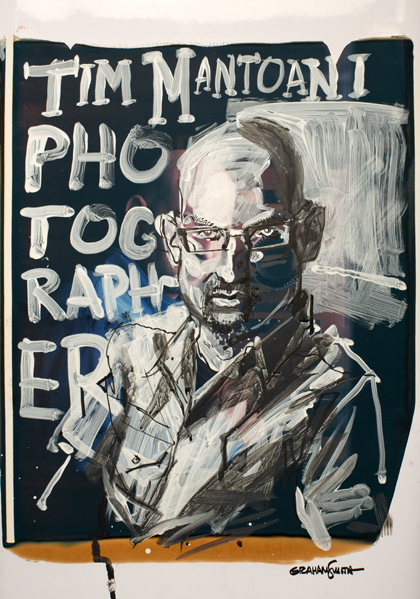 When my friend Graham Smith and I discussed the idea of him painting a portrait of me and us shooting a time-lapse of it, I really had no idea what to expect. When he showed up to the studio, he suggested finding something that had already been "Mantoani-onized" to paint on. I ended up pulling out a 20x24 Polaroid portrait of myself and he took the ball and ran with it. Here is the video. Thanks Graham, always an honor collaborating with you.